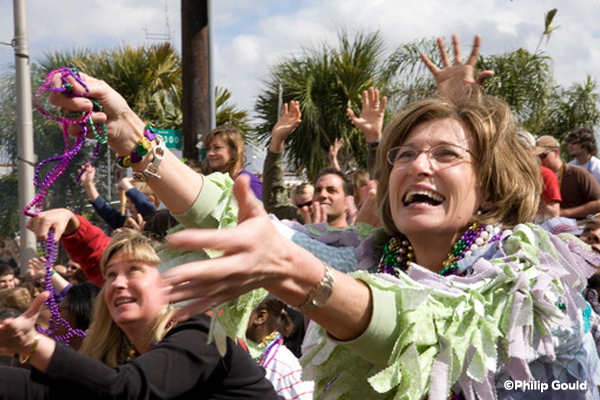 South Louisiana is home to the greatest free party on earth, a colorful celebration known as Mardi Gras. But what most people see on television the weekend before Lent actually starts much earlier. 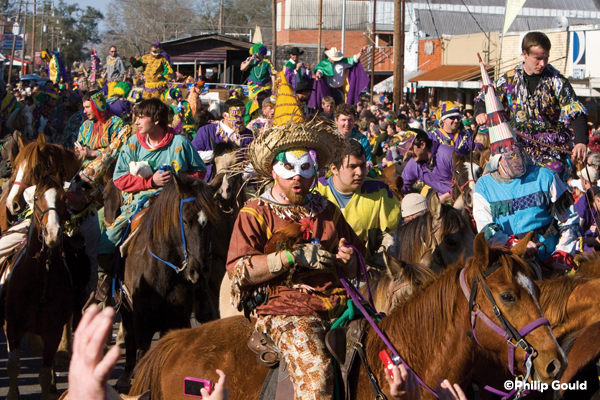 The entire Carnival season runs several winter weeks in Lafayette and throughout the Acadiana region and includes Carnival balls, parades, ancient Cajun courirs or Mardi Gras runs and special events. Carnival begins on Jan. 6, the Twelfth Night of Christmas, or the Epiphany, when the Three Wise Men brought gifts to the baby Jesus. This Carnival season continues until Mardi Gras, the Tuesday before Ash Wednesday. In a sense its a religious holiday, created in Europe and continued in Catholic South Louisiana, honoring both the Epiphany of Christmas and the advent of Lent. The Catholic Church licensed Carnival as a period of feasting before the fasting of Lent, writes Arthur Hardy in his annual Mardi Gras Guide. The Church also established the set date for the start of the Carnival season Jan. 6, the Feast of the Epiphany and the fluctuating date of Mardi Gras. Because Ash Wednesday is a time of sacrificing and fasting, the season of Carnival is a time of feasting and fun. The word Carnival comes from the Latin Carbe vale meaning farewell to flesh, referring to the giving up of eating meat during Lent. 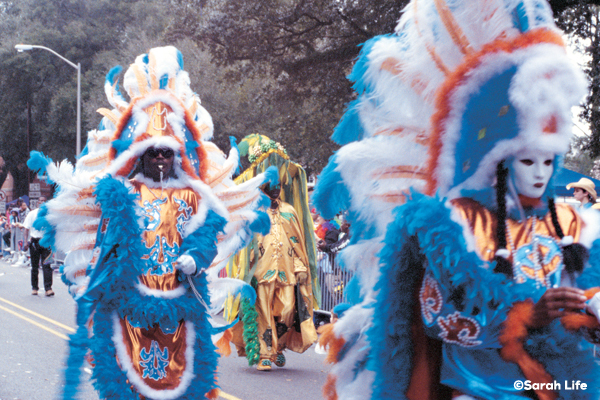 Some people see the season of Carnival and Mardi Gras as living it up before giving it up. Many believe the tradition predates Christianity, when ancient tribal rituals of fertility welcomed the arrival of spring. 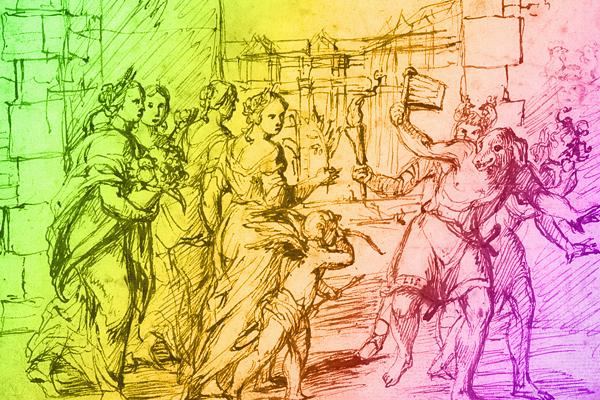 Some liken Carnival to Lupercalia, a circus-like event once held in mid-February in Rome. The early Catholic Church fathers, realizing that it was impossible to divorce their new converts from their pagan customs, decided instead to direct them into Christian channels. Thus Carnival was created as a period of merriment that would serve as a prelude to the penitential season of Lent. The first Louisiana celebration of Mardi Gras occurred in 1699 when French explorers Iberville and Bienville LeMoyne and his men paused 60 miles south of present day New Orleans and acknowledged the holiday being celebrated in Paris. They christened the site Point du Mardi Gras. 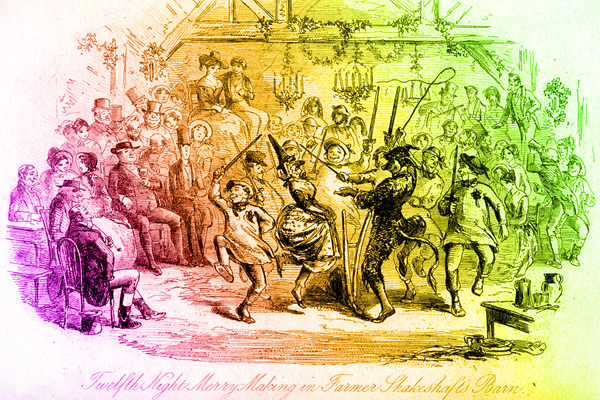 Pre-Lenten balls and celebrations were held in New Orleans in the 1700s and 1800s, depending upon the good nature of the colony&apos;s government (many administrations frowned on the revelry). Some of the merriment got out of hand and a group of businessmen from Mobile saved the New Orleans Mardi Gras by forming the Comus organization in 1857. The men beautified the celebration and proved that it could be enjoyed in a safe and festive manner. Comus coined the word krewe and established several Mardi Gras traditions by forming a secret Carnival society, choosing a mythological namesake, presenting a themed parade with floats as well as costumed maskers and staging a tableau ball following its parade. 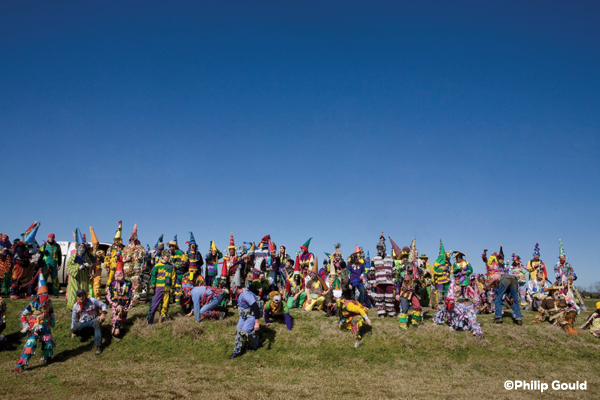 In Acadiana, residents celebrated Carnival with the unique Courir de Mardi Gras or Mardi Gras runs where masked men on horseback would travel the countryside knocking on doors, singings songs, dancing and begging for ingredients to make a gumbo. Many times homeowners would throw a chicken to the begging krewe and maskers would attempt to catch the bird for gumbo meat. Musicians sometimes followed the krewes, providing more merriment. When the courirs returned to town, they produced a communal gumbo for all to enjoy. Today, there are numerous Courirs de Mardi Gras throughout Acadiana, many with the traditional all-men krewes only open to members but also several that cater to women and children. A few courirs allow tourists to participate, or at least to follow behind and observe the festivities. Within the city of Lafayette, Carnival celebrations reflected a New Orleans style with krewes composed of citizens who selected royalty and held elaborate balls. The first recorded celebration of Lafayette Mardi Gras was on Feb. 14, 1869, but the first citywide Mardi Gras observance happened in 1897 with a ball, parade and Mardi Gras king and queen proclaimed. 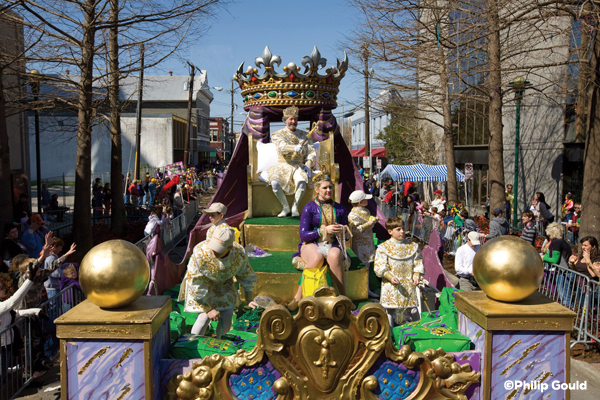 In 1958, the Lafayette Mardi Gras Association was created and today, as the Greater Louisiana Southwest Mardi Gras Association, encompasses more than 20 Carnival krewes that host, at their own expense, pageants as well as balls and eight parades. The Southwest Louisiana Mardi Gras Association also serves as a liaison between the Lafayette Consolidated Government, the Lafayette Sheriffs Department and other public agencies dealing with Carnival. Krewes in Acadiana range from traditional following the old New Orleans style to modern. The oldest and most traditional Carnival organization in Lafayette, the Krewe of Gabriel, announces its King Gabriel and Queen Evangeline every year with great fanfare at a members-only luncheon, then with a formal announcement to the public published in the newspaper on Mardi Gras day. The more modern and casual Krewe of Carnivale en Rio, on the other hand, places names in a hat at its summer party and chooses its royalty, known as Corte Real, at random. 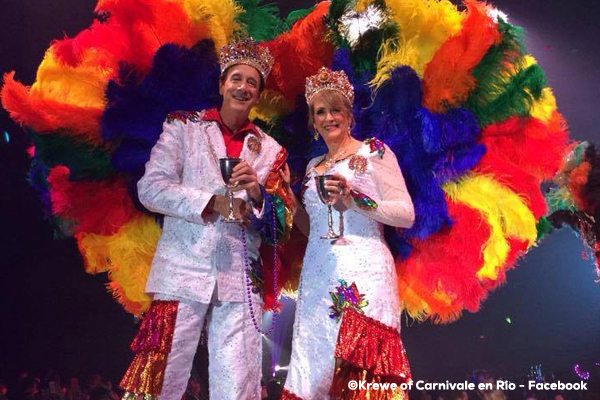 Both as with most Carnival krewes celebrate with a members-only ball or pageant during the Carnival season. Most of the activities that tourists enjoy happen about two weeks prior to Mardi Gras, building up to the grand celebration on Fat Tuesday. 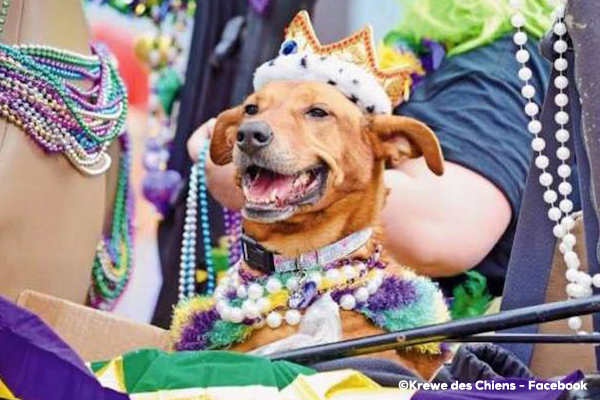 Parades in Lafayette begin the week before Mardi Gras with the Krewe of Carnivale en Rio and the popular, fund-raising Krewe des Chiens Parade for Dogs. The bulk of Lafayette parades begin the Friday before Mardi Gras and continue daily until Mardi Gras day, rolling from downtown Lafayette to Cajun Field. The family friendly Le Festival de Mardi Gras a Lafayette, coordinated by the Greater Southwest Louisiana Mardi Gras Association, offers games, carnival rides, Cajun food and live music by some of Acadianas best talent at Cajun Field. The spot is also a great place to watch the concluding parades. Parking for RVs is available as well. In addition, neighboring towns offer parades, courirs and special events such as the Old Time Boucherie, or the traditional Cajun hog butchering, the Monday before Mardi Gras at Lake View Park in Eunice. There are several parades that roll through Lafayette on Mardi Gras Day the Kings Parade, Lafayette Mardi Gras Festival Parade and the TownSquare Media Independent Parade. A historical African American event featuring a costume contest, live music, dancing and food occurs at Clark Field Stadium in the north section of the city. The event began as an African American Mardi Gras activity when John Lewis began the first neighborhood judging contest in the McComb subdivision in Lafayette in 1992. The contest was later organized by Dolly Broussard, who added live music. As the event grew, organizers moved the fun to Clark Field Stadium, a historic neighborhood stadium. 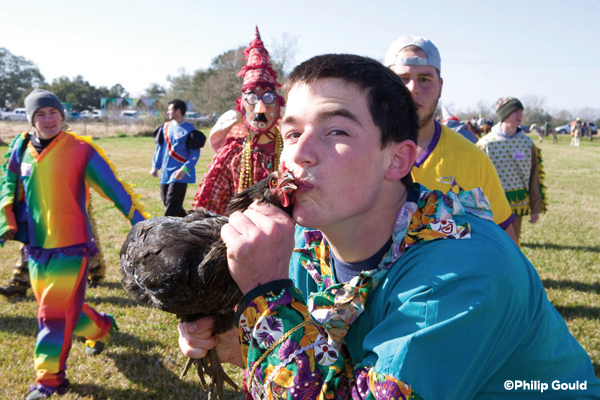 The Mardi Gras Show at Clark Field features many local and national musicians, plus the annual Judging Contest that features extravagant displays of costumes. In addition, theres food and crafts. Anyone can enter the costume contest. As Mardi Gras Day comes to a close, the Southwest Mardi Gras Association hosts its annual Pageant & Ball at the Heymann Performing Arts Center and Frem F. Boustany Convention Center in Lafayette. This annual ball a traditional representation of Carnival pageantry and royalty is open to the public. For a complete list of Carnival parades, balls, courirs and other activities in Lafayette and surrounding cities, visit LafayetteTravel.com/MardiGras.